Carlton Football Club can confirm four players have today been advised their contracts will not be renewed for the 2019 season. Aaron Mullett and Cameron O’Shea alongside rookie-listed players Matthew Shaw and Jesse Glass-McCasker will depart Ikon Park. Mullett joined the Blues as a Delisted Free Agent at the end of 2017, having previously played 85 senior games with North Melbourne. 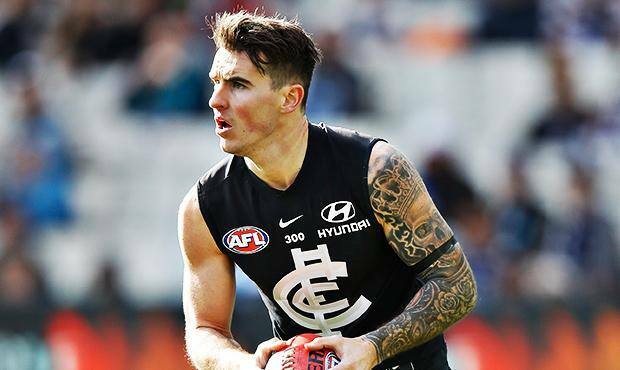 The 26-year-old made his Carlton debut in the Round 1 clash against Richmond at the MCG earlier this year and managed 13 senior games this season. Both O’Shea and Shaw arrived at Ikon Park at the end of 2017, via the NAB AFL Pre-Season and Rookie Drafts respectively. O’Shea featured in 11 senior appearances for the Blues, while Shaw earned his call up in Round 17 against St Kilda, and played the following week against Hawthorn. Glass-McCasker did not manage a senior appearance for the Blues since arriving at the Club through the 2016 AFL Rookie Draft at selection No.1. Head of Football Brad Lloyd thanked all four players for their services to the Carlton Football Club. “It’s always a hard time of the year across the industry making list changes and saying goodbye to players,” Lloyd said. The delistings take the Club’s initial post-season list changes to five, after veteran defender Alex Silvagni announced his retirement from AFL football last week.